Auction sniping is an accepted way to win online auctions without being physically present online to bid on items. Sniping services were created to help buyers bid on auctions without the inconvenience of having to sit in front of the computer at the moment the auction ends. Sniping is automated, time efficient, and works 24/ round the clock. 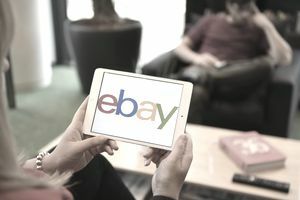 Learn how to use one of the most popular auction sniping services, Gixen, to win items on eBay without getting caught up in the emotion of bidding on a live auction. To place bids for an eBay buyer so that the buyer does not have to be physically online or on eBay.com to win an auction. Once a bid is placed on an item, it attracts other bids. The best way to win an item is to wait to bid on it until the last seconds of the auction and grab or "snipe" it. Also, bidding on an item can cause the seller to pay more attention to it. The seller may notice misspellings or other errors and correct them or remove the listing. One reason buyers snipe is to stay under the radar to buy listings with errors that they can get at a very low price. eBay buyers are regular people who have budgets, and some of them have shopping problems. Meaning they are compulsive shoppers. Using a sniper allows buyers to set their maximum bid and no more. Snipers are a third party service that integrates with an eBay account by way of a token. The eBay buyer gives the site, in this case, Gixen.com, permission to access their eBay account so that the sniper can bid on behalf of the eBay member. The eBay buyer creates a free account on Gixen.com. After setting up some preliminary user information, the buyer can then enter the item numbers of the exact auctions he wants to bid on and his highest bid. Gixen will place the buyer's starting bid 30 seconds before the auction ends. If other bidders are either manually bidding or sniping, Gixen will continue to place bids in eBay appropriate increments until time runs out or the buyer is outbid by someone else. Bids can be entered on Gixen from the moment a listing is posted until it ends. So if buyers are constantly in the market for a certain item either for personal use or resale, they can set up snipes on an unlimited number of items. Users can go into their Gixen dashboard and change information or delete a bid any time. And the entire site is free, so buyers can use it as much as they like with no fees. Most other auction sniping sites charge a monthly or per bid fee. There are a lot of ads on the Gixen site, but that is how it can be provided for free. The developers have to make their money somewhere, so ad revenue pays for the site hosting and the techs that keep the site running. So try to ignore the ads, there are quite a few of them splashed all over the page. Entering bids is very easy, and the bidding dashboard needs no explanation. There is a community forum where users can ask questions and network with other users. There is also a tech support tab where you can ask questions about the site and get answers. To date, there are over 18,000 posts, so this board is active and responsive. An optional upgrade of $6 will take you to a higher end product called Gixen Mirror. Subscribers to Gixen Mirror receive desktop management software and a few other product upgrades. It is for the serious sniper that buys a large volume of items possibly to flip on eBay or other venues. If you can figure out eBay, Gixen will be easy. Give auction sniping a try the next time you want to buy something on eBay. Millions of auctions go unsold every day so you can score some deals using this tool and exercising some patience and diligence.